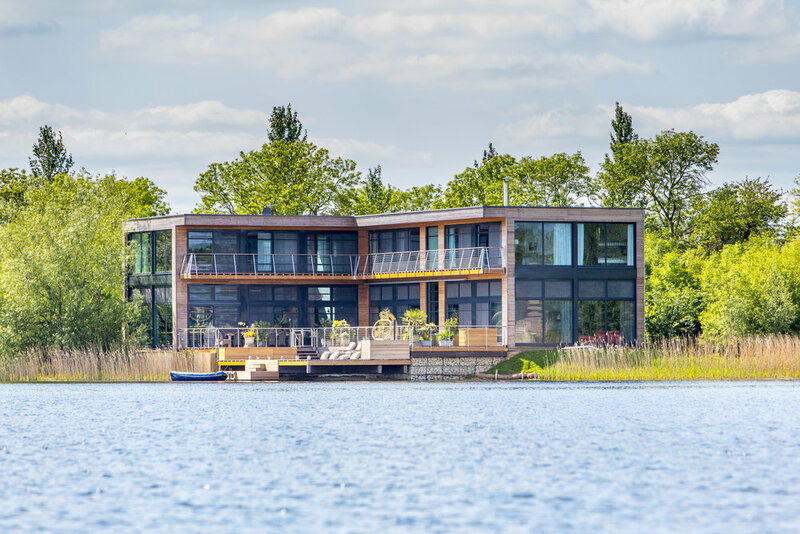 With interiors designed by Kate Moss, Elle MacPherson, Jade Jagger, Kelly Hoppen, Phillipe Starck & the Yoo Studio the Lakes by yoo are a gorgeous design-led holiday and weekend home destination within a spacious yet truly private countryside environment . The Lakes By yoo is an idyllic, 850-acre second home estate in the Cotswolds, less than a 90 minutes’ drive from London, the perfect spot for those looking to escape the hustle and bustle of the city. This spot is a perfect retreat for families, groups & couples alike. The concept of the Lakes is to create luxurious and contemporary, designer lakeside and woodland second homes in a peaceful, secure estate perfect for families seeking peace of mind, relaxation, concierge service and on-site activities. The estate has space for 160 homes, with around 40 plots left available to buy. There are nine base designs for houses at the Lakes by yoo. Houses must adhere to sustainability standards – but that’s more or less it when it comes to design regulations at the estate. Once a plot has been selected the in-house architect will work with the owner to create their dream home, whilst championing sustainable building at the same time. House frames are made of stress-graded timber and clad in high-quality Russian larch, house foundations are steel-reinforced. As a result, all homes meet very high standards of energy efficiency and the exteriors are simple to maintain. Most homes range from 1300 – 7000 sq feet however, all homes are customised according to buyer’s needs and wishes. Residents at the Lakes by yoo have added a wealth of individual innovations and features to their properties, from sustainable technologies to private lakes and rooftop pools. The estate also features the Barnhouse with interior design by Kate Moss (photographed). Maintenance doesn’t need to be a worry of the new home owner, as the Lakes by yoo offers a full concierge service that not only helps residents to quickly feel at home – the team also looks after everything from child-care, housekeeping and professional chefs to home maintenance.